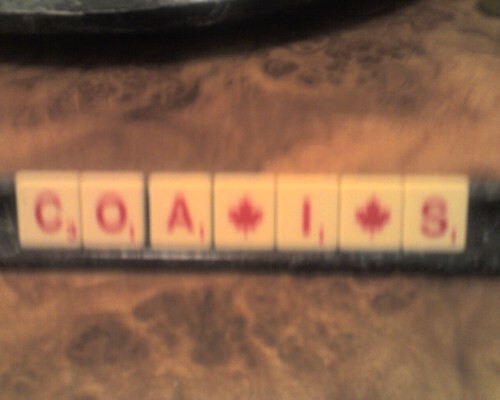 Scrabble on the Brain: Find the bingo! Not to be a total ingrate...but man double blanks are hard. Um...COPAINS? Whoops...bogus. I was hoping that was one of those French words that snuck in there.